MV Lymington passenger and car ferry was built for Southern Railway by William Denny & Brothers of Dumbarton for the Yarmouth/Lymington route and entered service in 1938. 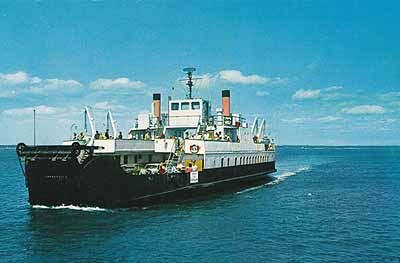 By 1972 larger vessels were on order for the route and she was withdrawn and sold. MV Lymington was purchased and renamed 'Sound of Sanda' and used on the Clyde; later she was resold and ended her days on Loch Etive.